Everyone knows Miller and Coors, but let’s talk about the Tenth and Blake Beer Co. subsidiary, which grew the MillerCoors craft and import portfolio by double digits last year, driven by Blue Moon and Jacob Leinenkugel Brewing products. MillerCoors is the second-largest beer company in America, capturing nearly 30 percent of beer sales in the United States and Puerto Rico. It is also a joint venture of SABMiller (the world’s second largest brewer) and Molson Coors Brewing Co. (the world’s seventh largest brewer). Together these companies operate eight major breweries in the United States, not to mention the Tenth and Blake Beer Co., which is labeled as the “craft and import division” of MillerCoors — a division that’s been doing quite well for the company. MillerCoors of course brews mainstream beer brands Coors Banquet and Miller Genuine Draft and economy brands Miller High Life and Keystone Light, but it also operates the Tenth and Blake Beer Co., which imports Peroni Nastro Azzurro, Pilsner Urquell and Grolsch and features “craft” brews from Jacob Leinenkugel Brewing Co., Blue Moon Brewing Co. and the Blitz-Weinhard Brewing Co. Overall, how did this Big Beer roll-up do last year? Despite a fourth quarter profit decline, SABMiller and Molson Coors Brewing reported that MillerCoors’ underlying net income grew 9.5 percent for the full year 2012 to $1.223 billion, while fourth quarter underlying net income decreased 4.2 percent to $185.8 million versus the same quarter in the prior year. According to the press release, positive pricing and favorable sales mix drove strong profitability for the year, while increased marketing investment reduced fourth quarter earnings. Miller64 STRs were down low-single digits in the quarter and high-single digits for the full year. Volume trends on the brand have improved significantly since it’s re-positioning in the first quarter of 2012. MillerCoors Premium Light STRs declined low-single digits in the fourth quarter and for the full year. Tenth and Blake Beer Co. grew the MillerCoors Craft and Import portfolio by double digits in the quarter and the full year, driven by Blue Moon Brewing and Jacob Leinenkugel Brewing. 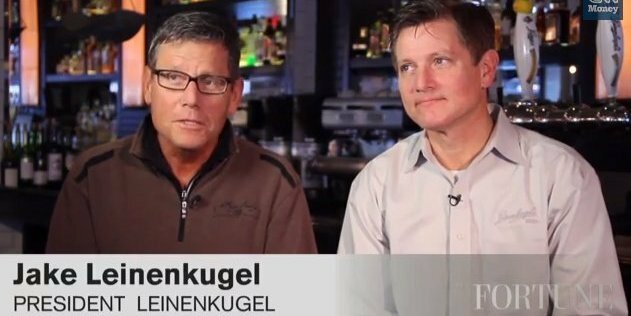 Due primarily to the performance of Summer Shandy, Leinenkugel’s grew double digits for the year and other offerings such as Snowdrift Vanilla Porter were drivers of Leinenkugel’s double-digit growth for the quarter. Blue Moon grew double digits for the year and high-single digits for the quarter. Peroni Nastro Azzurro once again delivered strong results, growing mid-single digits in the quarter and high-single digits for the year. While canning is starting to trend with craft brewers, Big Beer will continue to launch gimmicky new packaging prodcuts. MillerCoors plans to launch the new Coors Light “World’s Most Refreshing Can” in the second quarter of 2013. The company also plans to continue to invest in the “It’s Miller Time” campaign and will launch a new “iconic” bottle (what’s an iconic bottle?) for the on-premise market in mid-2013, following the positive volume impact of the Miller Lite punch top can in 2012. There’s a lot more, and you can read it over on their website.